From L. semita, which of compounded of se and meare (=to go, pass). 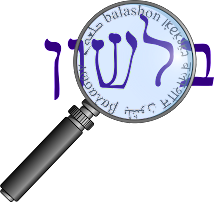 In fact where Pesahim 50b has תגרי סימטא , Tosefta Biccurim end, in Mss. Erfurt and Vienna,reads תגרי שמיטה, which is obviously a corruption of שימטה, the pure Hebrew form for the Aramaic סיטמא. The author made use of the Lexicon Chaldaicum Talmudicum by Johannes Buxtorf (Basle, 1604) to show how many Talmudic words are derived from Greek and Latin. As in this example, throughout his dictionary Jastrow tries to show how Talmudic words derive from Semitic sources. Therefore he had much cause to disagree with Mussafia. From Aramaic סימטא, which is of uncertain, perhaps Greek, origin. cp. Gk. semation dimin. of sema (= mark) and semasia ( = mark in the skin). c) Later in the dictionary, Jastrow defines שמט as "to slip, to loosen, detach, to carry off, steal". Klein was familiar with Jastrow; in fact he includes him in his bibliography. Perhaps he rejected Jastrow's approach because more research had been done in the decades between the publication of each dictionary. But it also seems that Klein was cautious of any "agenda" when it came to etymology - either that of Mussafia or that of Jastrow. This is an important lesson to any of us today when studying the etymology of Hebrew words - be careful of those with "agendas" - and there are many of them out there.